Maybe last week I was a little too optimistic. I can’t seem to pull my family out of this slump of misery. The little ones are okay, in fact they’ve just had a fun weekend. But the adults are all grumpy and sad. We are in proper ‘Bah Humbug’ mode. Maybe it’s the onset of winter that’s caused it, maybe it’s because Christmas is creeping up. It’s always been a difficult time of year for us. I am flitting from one mood to another. I’m happy because I have Christmas shopping done, even the food, including the turkey, is ordered. The kids are going to be overjoyed and I don’t think they’ll mind that they won’t have tons of presents to open, the ones they have are fabulous. The adults have also been bought some lovely gifts, I don’t think anyone will be disappointed this year. Then I’m sad because I can’t seem to help anyone feel happier. I am always trying to be positive, it’s important to start each day with a positive attitude otherwise you are just setting yourself up for a bad one. But am I really burying my head in the sand and ignoring the problems just so I can say I’m positive? I’m not ignoring the problems, but I do feel as though I’ve exhausted any solutions I may have had. We go around and around in circles, the poison has been fed and I just can’t cleanse it, it won’t go away. It’s a ghost that haunts us forever. My cold is better, yay! I’m so glad to be rid of that. Sadly, all the illness I’ve had over the past couple of weeks have totally outed the good results I get from my IVIG treatment. Roll on next week for my next dose. We haven’t had any more car accidents! Graham has his confidence back and is driving well but I’m still avoiding going out if I can. I’m a nervous wreck. I feel like I want my car back so I can drive myself again. That makes me nervous too, but at least I will be in control and it just might help me get over my fear. But the car is still in the garage and it looks like we may not get it back for a few more weeks. We have the decorations up! Star and the Little Man really enjoyed putting the decorations on the tree and I haven’t changed it, it’s their work. Sadly, Boo was really upset we put it up without her. She’d gone for a fun day out with her friend and her Mum. We had a fabulous day at Inflata Nation, a huge inflatable theme park which we were given tickets to review. It really is a lovely place and the kids were so excited. Sadly, Graham has started his neck hurting again from the bouncing (yes, adults are allowed in too!) And Star has hurt her foot, it was a risk taking her, but we can’t let her miss out on everything. She will heal, she generally does pretty quickly. This is all just the daily stuff and already you can see the roller coaster is affecting us. I guess it’s just life, but I would like to get off for a little break now please. I will confess, it has a been a difficult couple of weeks. A difficult month actually, when it just seems that everything that could go wrong has gone wrong in the most drastic way possible. This morning we were faced with something we really don’t deal with very well in our house, a change of routine! Graham had to get up early and take Ash to the vets for his operation. We tried so hard to change the appointment, but 8am is the only time they take the pets in for ops, so there was no option. The vets is 40 mins away by car which meant that Graham would not be able to take the kids to school. The girl’s should really be able to walk themselves to school but for two problems, a very busy road and Autism. The Autism looked like it was winning for a while, it’s a good job I set the alarm early to make way for a 15 minute melt down. But, we still managed to get ready and it was Big sister that saved the day. Not only did she get up early to help them across the busy road, but she also instilled a calm in the house which helped Star recover and actually leave the house on time. The Little Man had to wait for his Dad to return home to take him to school, it’s just too far away and big sister doesn’t even know how to get there (I don’t even know how to get there!) But being at primary school, a quick phone call to tell them he was going to be late and all was okay. Maybe this morning is proof that we can function (almost) normally as a family? I guess to some people it sounds rather strange me saying that, but the kids all managed to get into school and no-one was killed on a busy road, so I’d say it was a success. Ash has already started to wake up from his operation and I’ve been told he’s doing fine. So now we just have to get through the rest of the day. And while I’m feeling positive I can also report that yesterday went quite well too. Another day of disrupted routine, the girls had an inset day, the eldest son had an appointment that I had to attend with him and it was my birthday. Autism (son and daughter’s) almost took over on two occasions but we got in there quick and stopped it. I had lunch out and a take out for dinner, which was way too much food. I had presents, lots of presents and cake and beautiful designer cheesecakes, and chocolates. I had a friend come to visit in the evening and we watched ‘I’m a Celebrity Get me Out of Here’ while making pom poms and catching up. For the first time in weeks I feel like the bad stuff will go away. We have hard fought for appointments coming up to ease health issues. The stressful things are done and dusted. Now we just have to survive until Christmas. We can do that can’t we? In fact we don’t have a normal family situation either. I live in a house with four adults and three young children which makes life pretty interesting. The other two adults besides me and my husband, are my older children from a previous marriage. They have yet to leave home and make their own life. Sometimes I wonder why we have to be so different, why we have so many issues to deal with. I read blogs, lots of them and I see so many ‘normal’ families, enjoying life as it should be. I wish we could be like that. Then I realise that if I think like that I will never be happy. Sometimes being different is okay. Then I found this story from one of my favourite authors, Paulo Coelho. Beauty exists not in sameness but in difference. Who could imagine a giraffe without its long neck or a cactus without its spines? The irregularity of the mountain peaks that surround us is what makes them so imposing. If we tried to make them all the same, they would no longer command our respect. In fact, Love did knock, but when they opened the door, they weren’t prepared to welcome Love in. We may be different, we may not lead the same lives as others, but inside we have light and love. Why Do We Worry About Our Kids? We spend so much of our lives worrying about our kids and I don’t mean just the little things, I’m on about the big things. How, will they grow up? Will they be successful? Will they be happy? Will they get a good job? And so, so much more. Then you worry if the way you are bringing them up, nurturing them, is it right, are you doing a good job? You think it’s all down to you, how you discipline them, how you teach them, how you let them know they are loved and cared for. You believe that their life choices are what you nurture them for. You want the very best for them. When your child is born your life changes forever. That tiny little bundle now in your arms is your responsibility, you have to be there for them every step of the way right up into adult hood and beyond. It’s all down to you. So, now you worry about how huge this responsibility is and if you can get it right. You may just go with the flow, you may read every book, you may ask your friends and family for advice. Everyone has their own way. There are so many ways too, which path do you choose, which parenting method is right for you, what if you get it wrong? It’s all such a worry. I’m there right now. I have three young children that I worry about daily. Do they spend too much time on screens? Are they doing alright at school? Are they happy? Do they get enough fresh air? Are they sleeping right? I’m lucky, I’ve been there before, I can learn from my mistakes. Or so I thought. I have two grown up children that I don’t talk about here on my blog at their request. But by bringing them up to adult hood it has given me experience and I’ve learnt a lot. Their Dad left us while they were quite young and he moved to another country so they didn’t see him very often. Most of the parenting was left to me. Of course, I’d done all the motherly things for them, but it was generally Dad who did the discipline, I was such a ‘Wait until your father gets home’ kind of mum.’ It was really difficult taking over the discipline once he’d gone. I certainly wasn’t as strict as he’d been. More worry for me. I did my best. In fact I did pretty well considering I had two young children and a full time job and I was parenting alone. We did have a difficult time though and it took me a long time to accept that the things that happened were not my fault. Looking back I don’t know how I did it. We had more than our fair share of issues and problems and they were so drastic they changed our lives completely. But we came out the other side, I can’t say unscathed, but we are all still alive! So, what have I learned about bringing up children. You can bring them up anyway you want but nature always has a say. Despite my older children having a lot less contact with their Dad than desired, they still very much carry his characteristics. Sometimes they do things that make me think they are just like their Dad! They have his personality embedded in them and even though I tried to make them individual, the nature versus nurture definitely wins sometimes. They need to know right from wrong and you are the person who can teach them that. Kids need direction, they need discipline. You don’t have to be mean or unkind, you don’t have to shout or punish if you wish. But you do need to keep them in check and make sure they know what’s right even if they don’t do what’s right all the time. They need to know that you will always be there for them. My older kids often tell me that they appreciate that I’ve always been there for them. It’s the biggest compliment that they give me. No matter what we have been through I’ve supported them every step of the way. I could have given up at some stages, I could have made very different decisions. But, I stood by my children always. They need to know that you love them. I have very different kids, some are clingy, some are not. But, I always tell them that I love them, show them that I care. Even the older kids still get praise from me. I will never stop telling them that they mean the world to me and that I love them. They do not need to burden your problems. This is something I’ve never done, even when my heart has been breaking I don’t put anything on my kids. This doesn’t mean that they don’t worry about me. They know when I am sad or sick and I appreciate their care and comfort. But I don’t push my problems and worries on them. Never use your kids as a weapon. We all know this is true, you can’t punish another person by stopping them seeing your kids. In the end the only person that truly gets hurt is the kids. They must come first in these situation. If they don’t want to be with another family member then you can take their feelings into account but you shouldn’t use that as a reason to punish another person. You shouldn’t say mean things about someone else to your kids either even though this may be difficult at times. They need to form their own opinions not have yours forced upon them. I know that with my younger kids we won’t face the same issues as I did with my older kids, in fact most people will not experience what we went through. 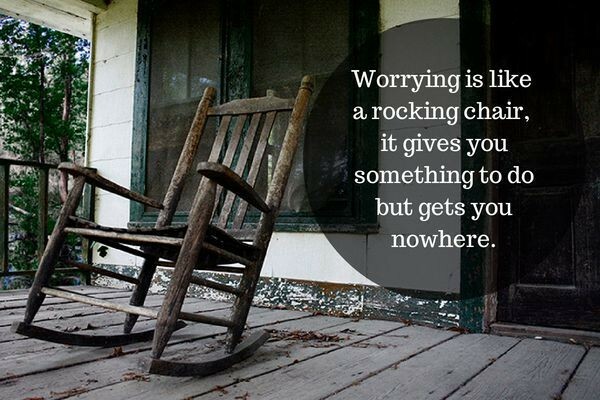 But, if there is something I’ve learned it’s that no amount of worry will change anything. I’d love to finish this with saying don’t worry, but it’s natural and the truth is, you will always worry. 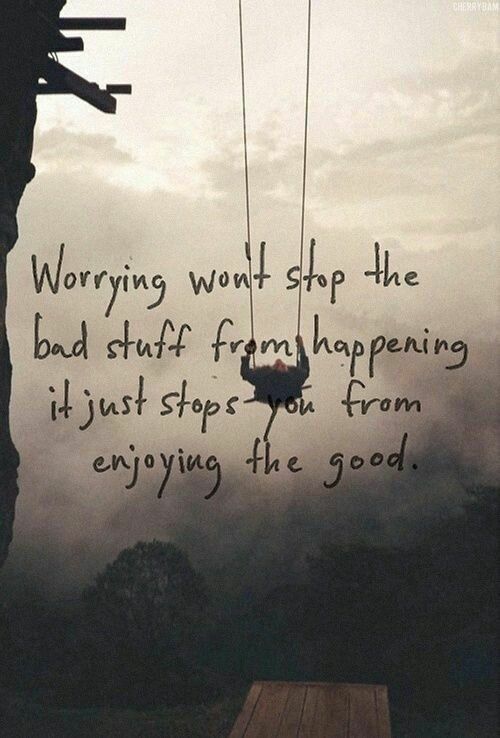 But, don’t let that worry get in the way of the here and now. Take each day as it comes and make as many happy memories as you can. Then the worries will fade into the distance and you will do the very best for your children. We were invited into the school this week to take part in a Chinese New Year workshop. I really love that the school does these workshops and I love going in to spend some time with my children at school. I remember many years ago that my mum came into school to help with the costumes and decorations for a school play. I was only about 9 years old and I loved having her there in school with me. Hopefully my children will remember me being in school with them when they grow old. Boo’s teacher is off school at the moment so she had a supply teacher who I had not met before. She thought I was Boo’s grandma!! To be really honest, how can I be upset. I am old enough to be her grandmother, I have children old enough to be her parents. I guess it’s one of those things when you have children later in life, on one hand they make you feel younger, on the other they make you feel so much older. Then you have to take into consideration of my appearance. I can’t walk properly and although I didn’t use my wheelchair this time, I was walking with sticks. Also, I’ve had to change my wardrobe because my skin hurts and I can’t wear tight clothes anymore. I generally wear dresses for comfort and ease. My jeans have been ditched! Admit it! I look like an old lady! Suddenly my perspective on life is changing. A couple off years ago I had so much trouble coming to terms with reaching fifty. I mean, it seems so old doesn’t it FIFTY. Middle aged, the golden years, OLD!! Of course once I turned fifty and didn’t feel any different I just carried on regardless, it wasn’t so bad. Then I got sick and my mobility was affected. Sick and disabled and fifty! I find now that looking back over the past makes me feel like I’ve been on this earth such a long time. My memories go back such a long way, my childhood so far far away. But the memories are there and they are so precious. I wonder, if as I get older, my memories will become confused? Maybe I’ll start mixing up memories of my older children with that of my younger ones. Memories are important, no matter what age. You need to keep making them as happy and as memorable as you can. Life is short, fill it up, enjoy it, don’t wallow, get out there, make your story a good one. I’ve been so low this year thinking about the future and if I actually have one. It’s hard living with a disability, especially one that appears overnight and takes everything away. I had to learn to walk again from scratch, and now even a year later my body refusing to respond properly. It’s difficult looking to the future, I don’t know what is going to happen to me but I know it’s only going to get worse. I wanted to be around to watch my younger children grow up, I want to be a part of their entire childhood and maybe achieve my dream of becoming a grandma for real one day. Instead of looking forward I’ve spent some time looking back and the memories are what keeps me going. I don’t have parents any more but I have so many happy, lovely memories. My Dad passed away when I was very young but I still remember him taking me to the bluebell woods, or the brook in the park where I could paddle in the water. My mum passed away 8 years ago but it doesn’t seem that long. I can always pull a memory of my mum from my mind. Dancing at family parties, going to the tulip festival, having fun on the beach on our many big family holidays. We once pitched our huge frame tent on a field in Weymouth only to find the next day that our ‘plot’ was water logged. so mum came up with a great idea, instead of taking the tent apart again to move it, we could all get inside, grab a pole and ‘walk’ the tent up the field. It worked, but it was hilarious, especially from the outside seeing this huge tent sprout legs and walk up a field. I have made many memories for my older children, I’m sure they will remember them and me in years to come. I also plan to continue making memories for my younger ones, for as long as I can. My story will be a good one to remember, I’ll make sure of that.